Honda has been selling -- or, rather, leasing -- the Clarity hydrogen fuel cell car in California for years. But lately it's been offering a new, roomier five-seat version. And it's about to be joined by two new Clarity cars that don't run on hard-to-find hydrogen fuel. What's more, one of those other Clarity cars, the Honda Clarity Plug-in Hybrid, will be available in all 50 states, which will make it a lot more accessible than the California-only hydrogen car. Even though it's not available here -- yet -- I had a chance to drive the hydrogen-powered Clarity near New York. Other than being largely silent, the experience wasn't too different from driving, say, a Honda Accord. A hydrogen fuel cell car is essentially an electric car. It's driven by electric motors, but it doesn't store energy in a big battery pack. Instead, it gets power by running hydrogen gas through a "fuel cell stack" in which the hydrogen combines with oxygen from the air. That process generates electricity. It also results in the car's only emission, water. Hydrogen fuel cell cars have two big advantages over electric cars. First, they generally have a longer driving range before needing to refuel. (The Clarity can travel for an EPA-estimated 366 miles on a fill-up.) Second, when they do need to fill up, it only takes a few minutes, not the hours it can take to charge an electric car. But there are downsides. Foremost, hydrogen fueling stations aren't easy to find. Even in California, which has enough of them that it's the only state in which these cars are currently available, there are still only a relative handful. Second, there's the space required inside the car to store the gas. Electric car battery packs can be made in a variety of shapes so they can be squeezed into floors of cars and other out-of-the-way places. The Honda Clarity Plug-in Hybrid will go on sale nationwide. Various companies are working on building more "hydrogen infrastructure" in places like the Northeast. So within the next few years, drivers might have the choice of driving hydrogen-powered cars in places other than California. If you don't like the Clarity, Toyota and Hyundai are also leasing hydrogen fuel cell vehicles there. Meanwhile, you will soon have the option of buying or leasing a battery-powered plug-in Clarity. 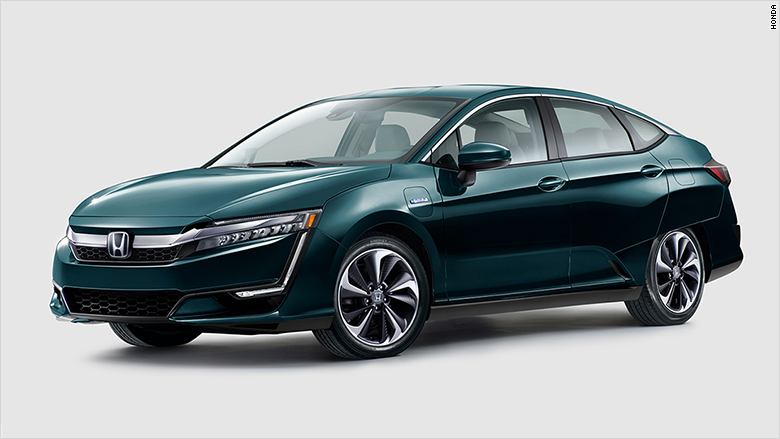 The Honda Clarity Plug-in Hybrid will go 42 miles on electricity alone before a gasoline engine turns on, providing more than 330 miles of total driving range. 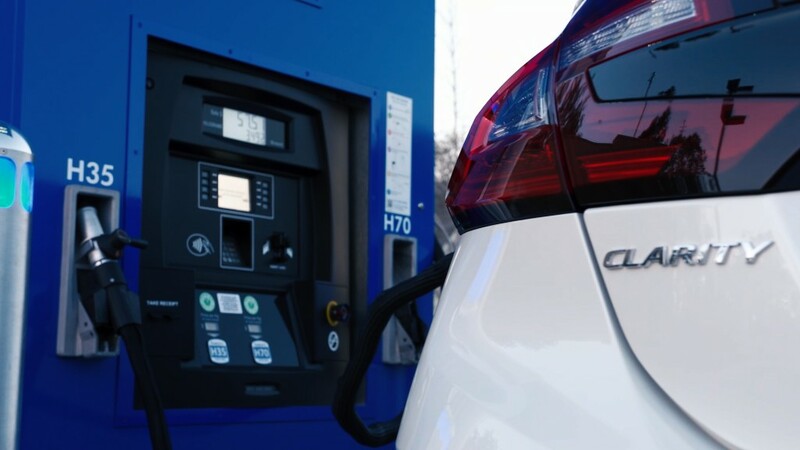 Unlike the fuel cell car, the plug-in hybrid Clarity will be available to buy or lease in all 50 states later this year at a price expected to be around $35,000. The pure-electric Clarity Electric offers only 80 miles of total driving range. That's a fraction of the 238 miles of range offered by something like the Chevrolet Bolt EV. But, Honda points out, the mid-sized Clarity EV is bigger and roomier than a longer-range car like the Bolt, and, besides, 80 miles really is plenty for most people's daily routines. If you want more range, they offer you the hydrogen or plug-in hybrid cars. The Clarity Electric will be available only in California and Oregon, at least initially. and, like the fuel cell car, it will only be available for lease, not purchase. Honda hasn't announced the rate.